I recently nerded it up from home and on the go while learning about TMJ disorders and treatment approaches from the Manual Therapist himself, Dr. Erson Religioso. The following is my analysis from Dr. Religioso's Eclectic Approach to TMJ Disorders. 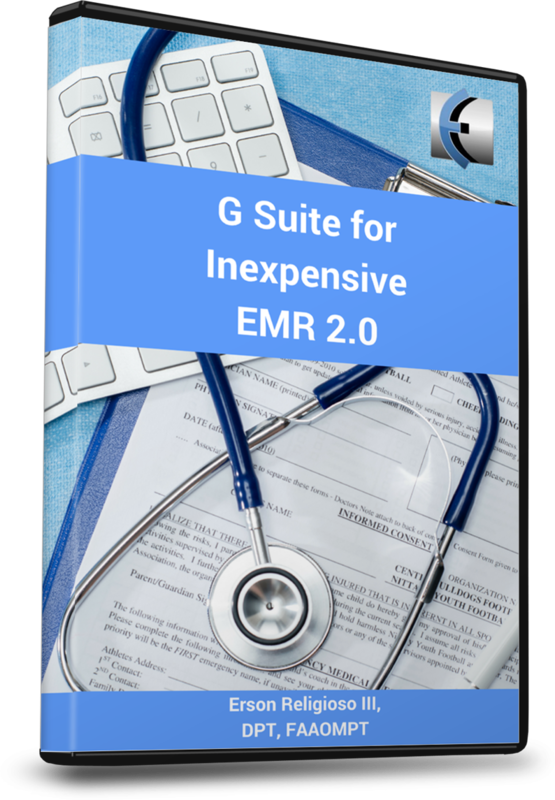 If you would like access to 600 accredited courses and growing from the comfort of your home, as well as patient education models, and HEP software---and you like my stuff....be sure to use my affiliate link, inTOUCH, in order to save $100 off A YEAR for the low price of $200 for access to continuing education through MedBridge. Not a bad deal at all! The following blog post originally appeared on MedBridge Education's blog on July 6, 2016. Click the previous link for access to a 2 minute clip on tongue resting position. From my experience teaching interns in the clinic, they are normally nervous about treating temporomandibular joint disorder (TMD) as it is typically not covered at physical therapy school. In the video segment below, Dr. Erson Religioso III takes a simple, yet productive approach to explaining the problematic TMD condition. Dr. Religioso’s course is a great introduction for new graduates and a detailed refresher for experienced clinicians. 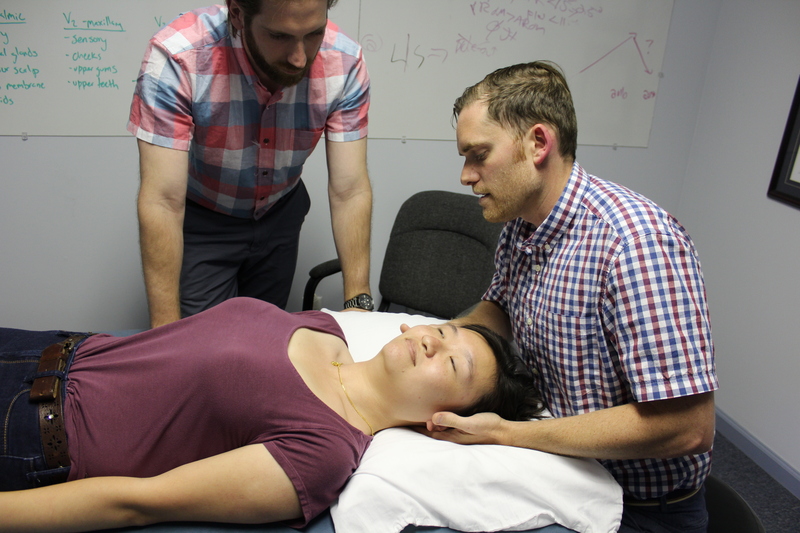 His knowledge of the TMJ and its relationship with the upper cervical spine is simplified in a digestible manner that allows the learner to step away from the screen and perform effective treatments immediately. Why should the movement screening come before the repeated movement exam? Why does he try to relieve pain rather than produce pain? Why does he place his hand over the maxilla vs mandibular (not just due to pain over the TMJ)? Hint: The biomechanical component! Why can loading the joint with repeated movements assist in re-setting the central nervous system better than unloading the joint? Hint: It’s opposite of what most clinicians do! Why using a tool can inhibit tone better than hands/fingers? 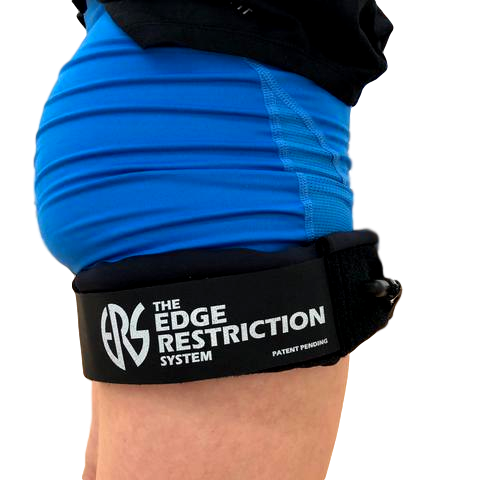 Why certain soft tissue patterns are effective in individuals with high tone vs low tone? 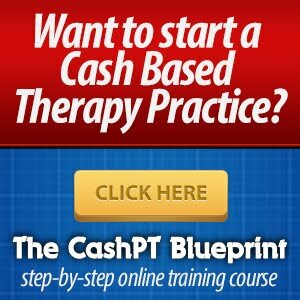 Why does he use soft tissue work first in the treatment sequence? Why is working on soft tissue on ipsilateral side vs contralateral side (where we normally would stretch as “tight” tissues) a better approach? 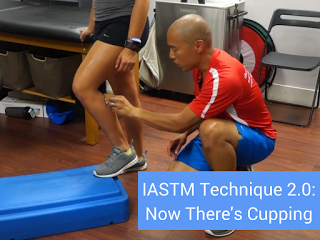 Why does regional interdependence play a huge role in treating TMD and in soft tissue mobilization techniques to multiple patterns of the upper quarter? Besides the answers to all of these questions, Dr. Religioso also focuses on patient education of posture, neck position, and the cause/effect for patients to keep improvements. If you have read his blog, you will hear echoes of Dr. Religioso’s writings in his voice as he describes what worked for him in treating TMD over many years. His advanced training by Dr. Racabado, one of the pioneers of TMD in the states, is evident in his course. As physical therapists, we know that manual therapy, exercise, and education are key components to overall patient care. The treatment of TMD is no exception. Home exercise programs fuel the patient’s retention from short-term manual relief. This course reinforces that essential message for therapists. “Clucking” is a fundamental aspect of the HEP that I took away. What will be yours? Thanks everyone for reading! Continue to aim high and finish strong. 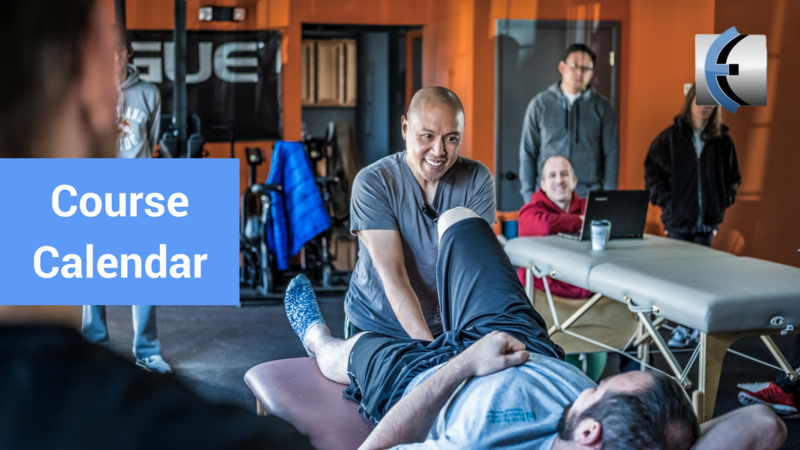 Interested in live cases where I apply this approach and integrate it with pain science, manual therapy, repeated motions, IASTM, with emphasis on patient education? 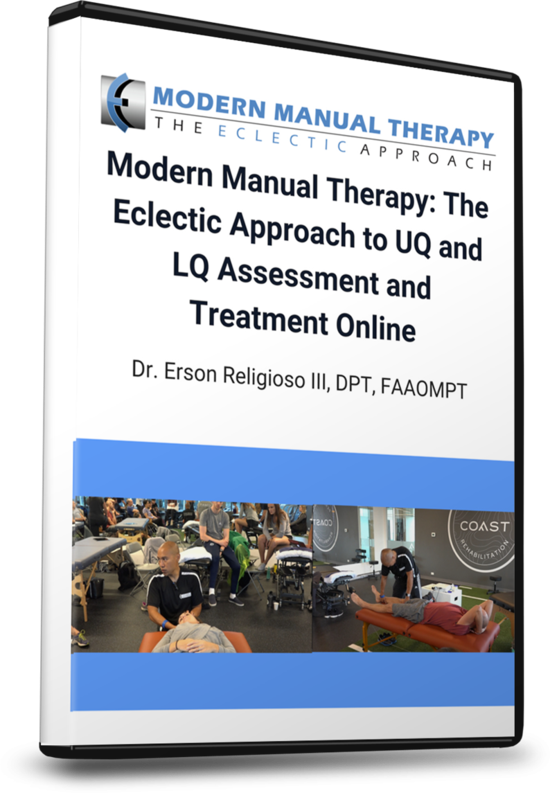 Check out Modern Manual Therapy!